Facebook is requiring all users to switch over to Timeline by fall, but some aspects of the feature aren’t exactly sitting well with users. For instance, some posts are now displaying a map with the location of the user when he or she posts something to Facebook. Yikes! Users can remove a link to the map from their timeline, as well as untag their location. However, these actions don’t entirely delete the map, which can still be found under its own URL (facebook.com/your.username/map/). In other words, there are steps users can take to increase their privacy protection, but they can’t undo Facebook’s invasiveness entirely. 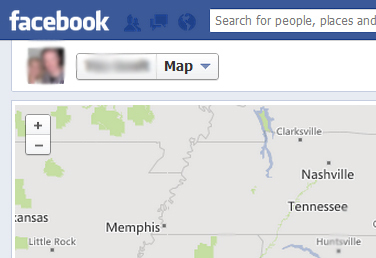 If this concerns you from a privacy standpoint, then your best bet is to not approve tags that contain location data. You can use the ‘Activity Log’ to remove items from your Timeline that contain location data. Depending on the number of Favorites on your Timeline, you might need to click the down arrow located underneath the Activity Log. Hover over the top right corner of your ‘Map’ to display the edit icon. Click the pencil and then select ‘Remove from Favorites. Why, exactly, does Facebook make it so difficult to set your own privacy settings? Why does it have to take a large public outcry to fix these problems? It remains unclear why Facebook’s user interface is so willfully difficult to manage privacy settings with. The fact that you have to find out on blogs and research on user forums to learn about Facebook’s privacy settings says a great deal about the company’s opaqueness and priorities.